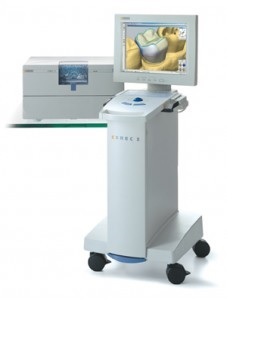 CEREC is a 3D imaging and CAD/CAM technology for restoring damaged teeth. This restoration can be completed in a single visit to the dentist’s office by milling a crown out of a block porcelain/composite which is then bonded to the damaged tooth . It fixes integrity and esthetics problems you may have with a tooth; a broken tooth, pain when biting and cold sensitivity, all while keeping your teeth looking natural. The restoration is metal-free, and the high-grade ceramic material is compatible with the natural tissue found in your mouth. During your appointment, you and Dr. Spainhower will discuss the details of the procedure and he will answer any questions you may have. Doc will first trim the tooth to the approperite size, then apply a thin layer of white powder onto your tooth and will use a special 3D imaging camera to take a photo of your tooth. Using CEREC’s proprietary software, your restoration will be designed according to your tooth’s appropriate form and function. 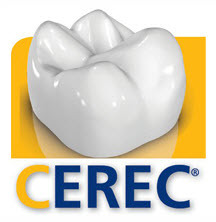 Then, CEREC will use a milling chamber with diamond burs to create your restoration out of a piece of ceramic. Finally, the ceramic restoration is bonded to your tooth using state-of-the-art adhesive dentistry. Time: Our posterior CEREC crowns are made in one visit, saving you considerable time away from your job and family. Comfort: With CEREC, there is no need for a temporary crown, or the need to be numb multiple times, eliminating significant potential discomfort.